Details Introductory Pigment Set by Rublev Colors. These pigments represent important hues from nearly all popular palette colors: green, yellow, red, brown, white and black. 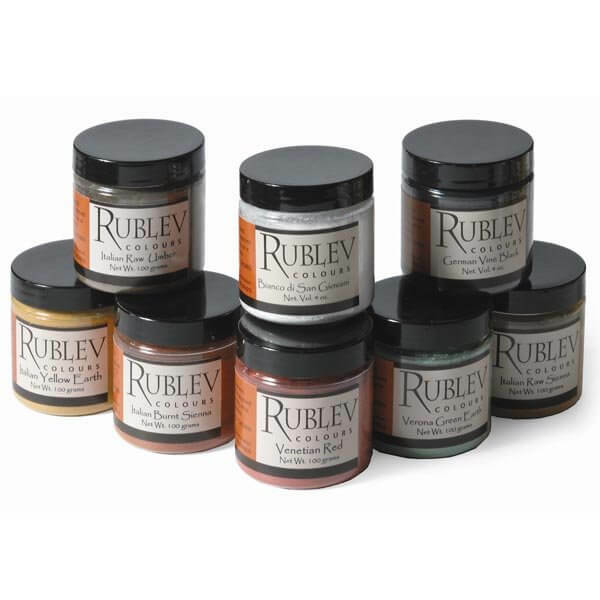 The pigments come in a boxed set that is an excellent introduction to making your own paints or as a great gift for the art student.